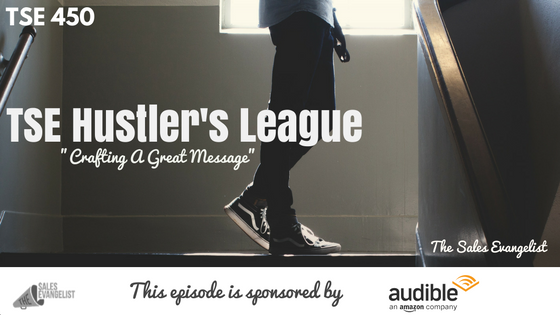 Today’s episode is another snippet pulled out from the TSE Hustler’s League where we talked about how you can craft a powerful message that’s going to impact your ideal clients, that they will enjoy and that they can resonate well with. Get something that you can reach out to and utilize resources such as the company website, LinkedIn, or their social media account. Choose anything interesting that you can use to grab their attention. What is that one thing that can grab their attention that tells them you took time to know about them? Identify the contacts you should reach out to. Identify the people involved in the buying process. Those people call the shots, whether it be the VP of Sales, or the CEO, or the procurement department. Get three nuggets you can connect on. Tie it back to something interesting about them. Is there any other nugget that you can use within the conversation? People can associate with their issues. How can you speak into their emotions in your conversation with your prospects? Use words like frustrated, concerned, overwhelmed, tired, annoyed, angry, disgusted. Think like a human being because people make decisions based on emotions. Find a way to share a problem, a solution, and statistics that you can incorporate to tell a story. Have an outcome for each call. Your next step is not the sale. It’s just to get an appointment to the next step so you can dive in deeper. 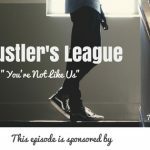 As a thanksgiving gift from me to you, get access to all of the TSE Hustler’s League past recordings at a discounted price of $20.